Expensive, Spending, nightclubs and casinos are the identity of Las Vegas in United States. Las Vegas, Nevada, United States is the center of the world entertainment. Synonymous with clubs and gambling, perception of all those who want to come to this place must bring a lot of money. Yes, all the worldly pleasures that exist in this gambling city always associated with money. The Wynn Conservatory is one of the unique and interesting places that tourists can visit while in Las Vegas. Actually, the most powerful reason that encourages a person to visit this place is free! A beautiful mosaic floor with a variety of beautiful colors and images that become one of the main attractions in Vegas. Not only that, a series of beautiful flowers with various forms of arbitrary completes with the uniqueness of The Wynn Conservatory. Every day many visitors who come just to take pictures, relax, or simply walk. 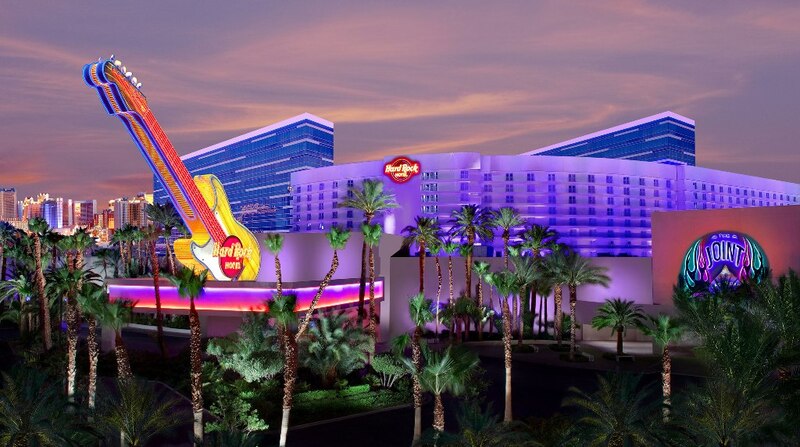 For the fans of rock and roll, it can get overwhelming sensation when you're at the Hard Rock Hotel and Casino. Here you will dissolve with a collection of relics of the legendary singers of the world. Madonna Apparel, Ramones leather jackets, Motorcycle that is belonging to Guns N'Roses personnel and Motely Crue, as well as autographed guitar and a few other collections belonging to the Beatles into ornaments and riveting collection. To see this spectacular collections you will not be charged a penny. It is one of the places to visit in Las Vegas you can't miss. It is impossible when the hotel in Las Vegas offers free stuff! But, at this hotel you can watch the circus without having to pay. 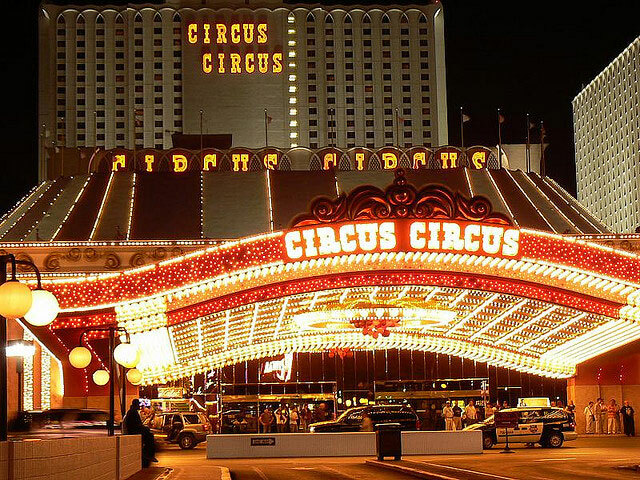 However, this circus only runs for 10 minutes with a performance of 23.00-midnight. You need to know, the show is already very well known in Las Vegas as the circus that continue to maintain its conservative style. Drowned with the clown attractions, juggling players, and other circus performers will surely make you feel very less with a short period of time. Fountain water show at Bellagio is very beautiful. The visitors can enjoy the dancing fountain with many chanting songs that can make your heart dancing! 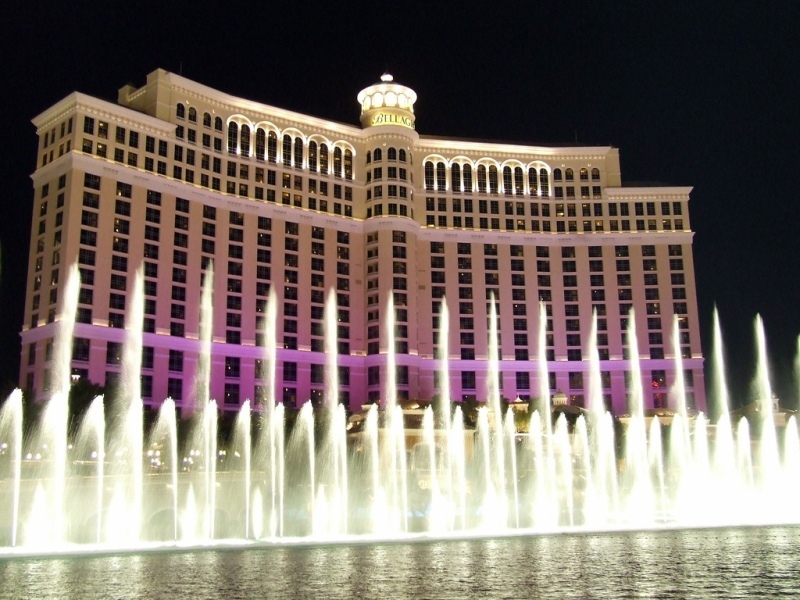 in 2001, Bellagio was the film set in one of the Hollywood films, Ocean's Eleven. It is one of the tremendous places to visit in Las Vegas. Mirage Volcano, one of the performances are often sought after by tourists. 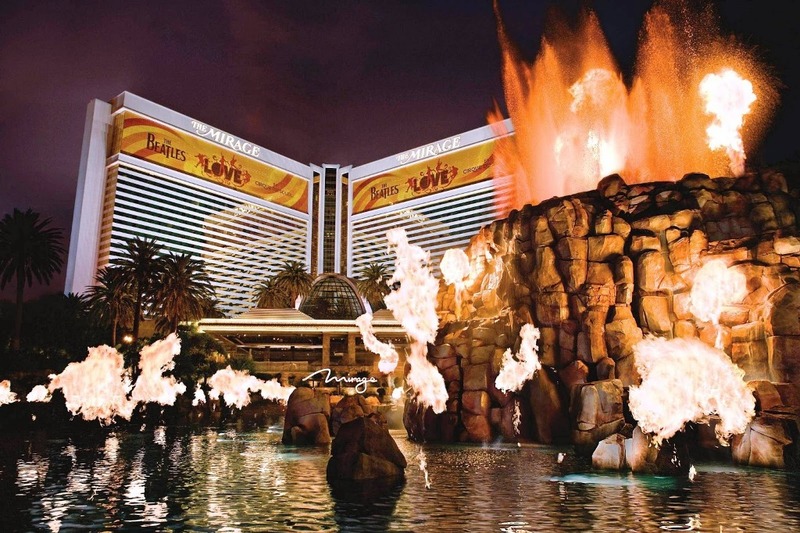 Since opening in 1989, the Mirage Volcano has become one of the most popular attractions in Las Vegas that combines fire, music and dance. This Volcano is absolutely not danger, because it presents the beauty of dance and music at night. Those are 5 tremendous places to visit in Las Vegas, USA. Generally, the people who are coming to Vegas are the rich ones, but you can enjoy Las Vegas with limited money actually.